In this Fall’s edition of “Concordia Seminary,” the magazine of Concordia Seminary, St. Louis, it is reported that the professors remind the students that “it’s more about the ‘heart’ knowledge than it is about the ‘head’ knowledge” (p. 21). This sounds like something one might hear from a Methobapticostal seminary rather than the historic bastion of objective truth and the pure Gospel expressed in the historic liturgy known as Concordia Seminary, St. Louis. It is my personal opinion that the faculty of the St. Louis Seminary, on a whole, is characterized by professors who are either captivated by silly post-modern notions of “contextualization” and/or consumed with making the Scriptures and Lutheranism compatible with the emotion laden spirituality of the American Evangelicals. I don’t know if the professors actually teach that heart knowledge (whatever that oxymoron might be) is more important than head knowledge. I hope not. The Scriptures do not allow us to pit one against the other. The Gospel is an objective fact of “head knowledge” and is grasped by the Holy Spirit moving our wills to true faith and trust. The real point of this story, and one that is indisputable, is that in the Fall of the year of our Lord, 2011, Concordia Seminary published a fancy, full color rag with the above quote in the tag line and as the heart of the article. Getting back to the professors, I would not be surprised if they do actually teach this however, since the St. Louis seminary has recently introduced contemporary worship and small group “ministry” into the routine of spiritual exercise at the institution. Both of these tactics are born out of the narcissistic culture of the 1960’s – 90’s in which traditional, noetic rooted denominations have been caving right and left to this Methabapticostal pitting of emotion against reason and practice against doctrine. There are clear signs that Concordia, St. Louis is entering that race to relevance and emotive based spirituality. We Lutherans certainly know from our Augustinian heritage (Luther was an Augustinian monk) that the Scriptures teach that the Holy Spirit’s moving of the will to trust and faith is essential to salvation. In this sense, the will (seat of the emotions?) is crucial in the salvation of the individual. In the hands of the liberals of the 20th century (Bultmann and the like) this led to the hermeneutics of “impact” preaching in which the important thing was the existential condition of the individual. To them, it mattered not if the Scriptures were true. They failed to combat the onslaught of the empirical methods of science that undermined the truth of Scripture. Their response was to elevate the “impact” of the preaching of the “word.” They taught that it doesn’t matter if the Gospel is true. What matters is that it moves the hearer to existential meaning. They are wrong and their teaching did great harm to the church. In the 1970’s courageous and truthful Lutherans such as J. A. O. Preus led Concordia Seminary St. Louis in the charge against such false pitting of emotion against knowledge. They steadfastly defended the common sense truth of the Scriptures. Today the threat in Confessional Lutheranism is not so much from the “impact” liberals who are retiring and dying out. The threat is from a new generation of people who pit the heart against the head in a psychological way in contrast to the philosophical approach of Bultmann. They favor the heart because of the need to tickle the ears of the current generation which is steeped in emotion and relevance. This is a threat to the Scriptural understanding of the pure Gospel which is true beyond my feelings and even despite my feelings. The Gospel is comforting because it is true that God loves me even when I don’t feel as if He does. The objective fact of the cross remains whether I like it or like it not. The Gospel is comforting because, even when it does not seem relevant to my daily struggles, it is the one thing that I really need, the forgiveness of sins. Pray that this article from the seminary about the alternate route student is an anomaly and join us in continuing to steadfastly work so that the truth prevail in our beloved LCMS. There is no wisdom…nor is there anything to learn… nor does any truth exist beyond the Lutheran Church – Missouri Synod and its authors. Aaah… yes… No one has said what you are saying. I agree that just because the books are available is nothing bad. If they are primary texts for classes, then we have a problem. I would argue that seminarians are not discerning enough yet to read the junk and sort out the junk. Give them the truth first, give them solid grounding in truth, then give them the junk to evaluate based upon the truth. Frankly put, four years at seminary is barely enough time to get a solid grounding in truth in order to be a caretaker of souls. Yes pastor Scheer. I agree. I would take it even more than a little further: Our seminaries need to spend alot more time having seminarians dig into our Lutheran Confessions as A Primary text for almost ALL classes in seminary. We really need to confess and repent that we have treated this treasure in practice as does the ELCA: we treat the Confessions as a set of historical documents that are the genesis of Lutheran theological development. I would instead really love to see evidence that the formation of a pastor’s theology happens within his study of the Confessions and that they are the organic and often referenced source that not only informs his theology but shapes it too in terms of language used. 1) You will look long and hard to find that word “sanctification” really talked about alot in the Confessions. Yet in our modern Lutheran Theology it is a HUGE word. And we usually unpack it’s meaning incorrectly . Why? The content of that word IS discussed in some great detail in our Confessions, but without actually using the word. And our seminarian are not really trained to see this. 1)The Small Catechism’s distinction between the “sanctification” in the proper sense, where Holy Baptism “works, delivers from, and gives” that is alone God’s Work “In, and with, [and under] the water”, and then there is “sanctification ” used in the “broader sense” that is what WE do AS New Man, which is to take up the Law and mortify and kill the Old Adam daily. Law and Gospel distinction here! And then we can read that Baptism=Repentence. And then we read that Repentence (just like Baptism, sanctification, Gospel etc etc) have two usages in Scripture: a proper meaning that is pure Gospel, and then a broader meaning that is Law + Gospel. Missing this distinction is to miss the Law and Gospel distinction , which is to make the part that WE do in our sanctification about our Life in Christ AS Life-giving, rather than being ALL about the DEATH of our Old Adam, with both our New Man AND our Old Adam safely hidden away IN Christ our dear Lord. 2) Then in FC art VI “the [Lutheran] Third use” this is all just repeated. There is a Law and gospel (ie Two Kingdoms) distinction made between the “believer insofar as he is regenerated” which is invisible to us and alone of and by faith, then… there is the Old Adam who still clings to us now as an unwanted parasite, and ALL we can see and do (including the part we do called the Administration of Word and Sacrament) is ALL about our death. There is no life there. and there certainly is no Life there! This is all the Law extorting Goodness and Mercy out of Lawless and unreformable Old Adam. (cf Luke 18 and the story of the Lawless Judge nagged into doing Justice by a conscience dead even to Love to see how that works in each of us as Old Adam). Yes of course, our dear Franz Pieper (who is almost without parallel as a doctor of our church) in his systematics unpacks the term in a certain way. But first he drank deeply from the way the Confessions did their unpacking. So if we read him without trying to see how what he says springs organically from their Confessional source (and he was a slave to that source in form and content! ), we will miss alot of what he says. So where is this “shaping” of our theology as our Confessions shape Theology in evidence today? I suggest that both Pieper and Walther would want us to go back beyond them to the Confessions of our Church and make those Confessions the very organic agent that shapes our thinking as to what Holy Scriptures have to tell us, which is Law and Gospel. The two Kingdoms of Law and Gospel. The Law Kingdom contains ALL we can see and do which is ALL Old Adam and includes ALL that we can see and do in the Holy Catholic Church (Apology art VII). Then there is the Kingdom of Grace that includes NOTHING we can see and do. How could it? All we can see and do is already ALL in that other Kingdom of Old Adam and the Law. This is the Communion of Saints (again apology VII) that is only to be found “in, with and under” the Holy Catholic Church that is an earthly government containing both hypocrites and true believers all of who have been baptized and are so in that earthly government with it’s Laws that we call “Right Administration of Word and Sacrament” and “The Holy Liturgy”. These churchly Laws are precisely intended to Kill our Old Adam with discipline and structure so God’s Eternal Will (FC art VI) of Fatherly Goodness and Mercy can be done in churches full of Old Adams warring with New Man. I would Love to see more threads here on topics such as women’s roles in church, society and family, homosexuality, antinominism, gnosticism etc etc ALL dealt with STARTING with our beloved Confessions. I would love to see all of you pastors here not just say “I am a Confessional Lutheran”, but instead , by your actions of words here, employ the Confessions in such an insistent and pervasive way that there would be no need at all to identify you as a “Confessional Lutheran”. It would be self evident by the extent to which you all lean upon the Confessions in all you write and have to say! If we all did this, then I am convinced we would not be having this discussion that we are having right now. And I propose that the real work of this website, and that other excellent “Intrepid Lutheran” website for the WELS are really about the exercise of re-focusing our theology and more tightly basing it, organically and functionally, or better “casuistically” upon our Confessions. I see very little evidence of this happening. Lord have mercy! Pastor Joshua Scheer :@Johannes #148 In my time at Fort Wayne, I never was assigned such reading in my classes. These things may be in the bookstore, but they were not a part of the curriculum. As you say, it was not necessarily in the curriculum. Why put it in the bookstore, then? But isnt it a good idea for our seminarians to work through some of that material since it is so pervasive in american christianity? I would really like to see ft wayne offer courses in this stuff, but not to approve of it, rather to help seminarians identify what is wrong with it while they are still in seminary. and pastors are human and are tempted to reach for this stuff thinking that can use evangelical forms and methods and somehow at the same time hang onto lutheran content. and of course things never work out that way…. 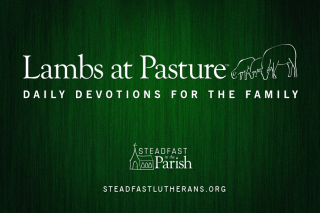 As an object lesson on the inroads that PDL has made into the LCMS, I refer you to Scott Diekmann’s “Stand Firm” blog, December 5, “Fifteen Things Not to do In A Sermon.” It is at once revealing and alarming. What was this man taught, and what is he teaching? Concerning books and topics for seminary, part of the problem is time. There is a lot of ground that necessarily must be covered in an adequate seminary education. It is not that easy to fit it all in. It is well to learn the classic and recurring heresies and heterodoxies, the impules that draw people to them, the consequences of them, and how they morph into variations over time. Then it is well to use that understanding to demonstrate a competency to assess supposedly new movements of today, and to recognize today’s variations of olde errors. The movements selected for that demonstrative exercise should be the current or coming variations so that, in their first assignments, the graduates are current. But the graduates also have to expect to keep themselves current by being able to either perform the same evaluations of things that come out 10, 15, 30 years after their graduation, or to resort to the synod’s theologians for their evaluations. The former competency would be the better, but at least if the pastor can identify when he needs to resort to the theologians, that would be better than what is often going on now, which is, no identification and no resort, just the assimilation of error. In clarifying, those books were part of the curriculum. We were often challenged to find what was useful and good in them and avoid negative reactions to the theology. The seminary has always been, in my understanding, tasked with creating theologians, not pastors. The pastoral part (if you will) comes from your eventual application and interaction with your parish once you are in a call. Anyways, that being the case why are we even including those kinds of books then as part of what we use to make theologians!? My own personal case in point is this, I needed to read about 25 Saddleback Church type books for classes and not until 4th year were we even required to read or asked to purchase authors like Herman Sasse. P-Min 101, your first class in the seminary focused a large part on “Becoming a Contagious Christian”. Seriously?! Anyways, now I’m ranting. I had many wonderful professors at CSL and not every class was like this, but sadly too many were. No one said that. However if I am a professor tasked with assigning students to read books to shape their theology and training and I only have 4 years to do it, is Rick Warren really a better choice than Herman Sasse or C.F.W. Walther? Is there really not enough theology and truth contained within Luther, Chemnitz, Walther, etc. etc. that we need to search for it in Methodist, Baptist, and Pentecostal muck? When most seminarians have never read Chemnitz yet can rattle off quotes from Rob Bell’s “Velvet Elvis” (another required text for a class) there is a serious problem there in my opinion. I have had to read several books of that type (not “Purpose-Driven Church,” though); in my library here I have “Almost Christian,” “The New Christians,” and “The Forgotten Ways;” I also own and have had to read a number of other similar books for classes. However, my professors never said or even implied that everything in those books was correct. I recall one professor saying something to the effect of “I know that there is a lot of junk in this book, but I want to you read it anyways because there’s some good stuff in there and it will challenge you.” We spent large chunks of class time talking about the false teachings in those books and discerning what was actually good. And you know what? There were actually some good things in there! As far as seminarians not being able to distinguish the gold from the pyrite in such books, I think that we have enough of a “Grandma Schmidt Sense” (if something feels wrong about it, then there’s probably something wrong with it) from growing up in the church, having years of theological studies under our belts, and the like, that we can tell when something is off by a lot. For example, one book I am reading suggested that perhaps we should cancel church to go out and do some “spiritual formation” during that time, whatever that means! That is something which is completely off from our doctrine of worship, and I could tell as much from a single look at it. There are some things which we just aren’t sensitive enough to pick up on, but that’s why we discuss those books in class. Personally, I think it’s important for us to at least know what else is out there, hence our “Religious Bodies in America” and “World Religions” classes. I don’t think anyone would argue that we are taught that everything we read in those classes is good, right, and salutary! In the same way, we need to know what is out there as far as higher criticism, “historical Jesus,” “church growth,” and the like so we can confront it when it rears its head at our church. I have also read books or essays by Luther, Pieper, Walther, and some other historical confessional Lutheran authors for my classes at CSL. Very few classes at CSL ignore our Lutheran roots in the book selection, particularly among Systematic Theology classes. Those which don’t have as many books by historical Lutheran authors typically are the ones addressing issues that were not around (or prevalent) when they were writing (such as postmodernism). But even then we look at those books through the lens of confessional Lutheranism. I am glad professors spend time talking about the false teachings, but seminarians don’t need that right away, they need the true teachings. In relation to your second paragraph, I think you are assuming too much. I wouldn’t agree that most seminarians have years of theological study under their belts, and growing up in a church doesn’t mean much if that church has been teaching the latest fads as well (a problem we have had in the LCMS for over a generation now). And feelings cannot be trusted, only the clear Word of God (and the teachings of it) can be. How can they know that when they are too busy gleaning through the latest fads of the sects? I also laughed just a little when you commented about the suggestion of cancelling church in order to have spiritual formation, you say it is wrong, but doesn’t the cancellation of chapel one day a month in order to have small group discussion amount to the same thing, “completely off from our doctrine of worship”? I believe I haven’t read that the practice has stopped yet. Certainly studying the confessions (and faddish books are the confessions of the faddish church) of other churches is expected in classes like Religious Bodies in America and so forth. I would argue more can be accomplished by teaching them the truth, and then the seminarian turning pastor would be ready for a lifetime of confronting whatever fad the sects come up with – not just the ones for the next decade. A firm grounding in the Truth (doctrine) will prepare you to interact and discern any error, whether it is the errors of centuries ago or decades in the future. NOWHERE in Scripture do I see the admonition to teach the errors and doctrines of devils. Postmodernism is a joke. Sinners don’t change. That is why you can see people like Jesus (interacting with Pilate’s “what is truth”), Luther (against enthusiasm and for the reliance on the objective Word of God), Walther (read his Der Lutheraner and see the spirit of his time), and so forth arguing against what we now label as postmodernism. The fact of the matter is that we all like to think that present times are special and so forth (there has never been a time like this before), but there is nothing new under the sun (Ecclesiastes). Still I think my point stands, why are we looking for “good stuff” in Rob Bell when we have volumes of it in things like the books I’ve mentioned. Rob Bell was part of Systems 4 reading list for the same reasons you listed, so we would “know what’s out there.” I know what’s out there; a bunch of works righteous, sacrament denying, unionistic garbage. This is a pervasive problem we bring on ourselves. Rob Bell is a heretic, plain and simple. To ignore faithful authors and theologians to try and find a redeeming needle in a haystack full of crap seems ludicrous to me. Yet this is what we try to do. “We say, Oh well people in the pew are reading Rob Bell.” So what! So we should read Rob Bell and somehow validate bad theology by finding a redeeming quote or two from his book? If I had 4 hours to read a book for a class and my choices were to find “good stuff” in Rob Bell’s books or to read part of “The Two Natures in Christ” why is this even a question of which is better? You are correct that “sinners don’t change”. However, Post-modernism is more about how people think of their sinfulness, or if they even acknowledge that sin exists. Sinners don’t change but what must change is how to best reach those whose concept of “truth” has radically changed; how to reach “post-Christian” nations; and how to communicate Christ in a hostile culture that was not hostile 60 years ago. Post-moderns have not been exposed to Christ, unlike their parents and grandparents. To approach them with the truth in the same manner as we did in the 1950’s doesn’t often work. Now we witness to a cultural void concerning Christ; then we witnessed to those who had some church experience. Post-modernism is not a joke, it is a disease that needs its cure administered in a slightly different manner than was effective in the past. It’s been a year since I read that book, but I don’t remember finding all that much of value in it. The most interesting thing I got out of it was that a lot of people don’t realize just how participatory good liturgical worship actually is. He says that “traditional” worship has 5% of the congregation (the pastor and assistants) active, while 95% is passive; “contemporary” worship has 10% of the congregation (pastor, assistants, praise band, etc.) active, while 90% is passive; “alternative” worship has 20% of the congregation (leaders, band, people moving between stations) active, while 80% is passive; “his” smaller church structure would have 80% of the congregation active, while only 20% is passive. However, if you do your liturgical worship properly, everyone is involved and actively participating in the service, even if they are not the pastor, organist, choir, assistants, etc. If the American church ever experiences a good persecution, then we may need to put some of his ideas about small house churches into practice, but only under those circumstances. Anyway, I did find some good, but it is not a book I would recommend for a church library. Not really worth it. Out of curiosity, I wonder how many seminary grads have even read the Confessions all the way through, that they then pledge to uphold and teach Scripture according to. I have heard that the FBI trains agents to spot counterfeits by having them examine the real bill in depth and detail. That way, if there is a change or deviation, they can spot it right away and know. This example would serve well to teach Lutheran theology, too. Examine the real Scriptural theology (which is true Lutheran theology) in depth. Then, when there is a deviation in it, the seminarian or pastor can see that this is an error. Plus, reading solid, classic Lutheran works (such as the authors Rev. McCall has mentioned) further grounds men in reading things that will actually help them theologically when it’s time to, say, preach a Christmas sermon on the two natures of Christ, or understand how and why to address the Methodist visitor who wants to take communion at the Lutheran church, or know to apply the Law to a person who is sinning out of ignorance, or so on. Reading such works makes men think like a Lutheran, which is what a Lutheran pastor is supposed to be… Lutheran. My general rule of thumb is never read a Methodist book, unless you want to become more Methodist. What a novel idea! Read the confessions so you know what we believe! It is not unusual for seminary profs to encounter students who had almost no familiarity with the Small Catechism. Yes, indeedy. And I know of at least seminary prof who decided he had to take one whole class thru the Catechism because the ignorance of the Catechism was so widespread. He is not in the systematics department either. All the more reason, Rick Warren and his ilk should be persona non grata at the sem. Rev. Mayes has it right–why read a Methodist book, unless you want to become one, or at least like one. Thanks, Pastor Mayes. How the Word of God works is not up to us, but God. The Holy Spirit will convict them and bring them to the knowledge of the Truth if He wills. The Church must do the same thing it has always done – preach the Word. I think we should approach these folks in the same way that God has appointed – with His Word in our vocations. Forget the silly things and faithless programs of the past century – they exhibit a faithlessness to God’s Word and a mistrust of the Holy Spirit to do His job where and when it pleases Him. Such views are not faithful to what we believe, teach, and confess. I sense from your comment that in the end, we do stuff to convert people (make things “work” as you say). Effectiveness is God’s business. Who are we to judge the effectiveness of anything? Where in Scripture do you see a command to judge things by “effectiveness” in the sense that we use it today? Do we possess an eternal perspective? God is the one who conquers souls, not us. If He doesn’t conquer someone, then He doesn’t – faithfully pin it on Him then. The church and those in it who think we need such improvements in order to “work” or become more “effective” are NOT the Church which was given the teachings of the Apostles, the Word of God, and the Spirit of our God. Please re-read the Third Article of the Creed and its explanation and chew on it for a while. Does the Gospel change for someone who has no knowledge of Christ vs. someone who has previous experience within the Church? Brings new importance to what we are choosing (and forcing others) to inwardly digest. Arrogance is the only cause for this… I can play with fire (materials containing false teachings) and not get burned. God brings low those who are so proud – at least I pray so. Then how do you take the words of Jesus who says, “Do you not see that whatever goes into the mouth passes into the stomach and is expelled? But what comes out of the mouth proceeds from the heart, and this defiles a person. For out of the heart come evil thoughts, murder, adultery, sexual immorality, theft, false witness, slander. These are what defile a person” (Matthew 15:17-20a). I addressed that when I said arrogance is the cause of this. Arrogance from the heart expresses itself in the person believing that they have the ability to read books filled with error and not have it rub off onto them. So, do you suppose that a person can be taught by false teachers and still remain well? Then why all the admonitions to have nothing to do with them or to part from them or to be on guard for them? Amen, and amen. Great foci. Truth and sin. We will do ourselves and the world good by understanding those traits of Postmodernism. And we’re in luck. The New Testament was written during at time very like ours. Pilate said, “What is truth?” He was not alone. The Jews were exceptional. The surrounding world of the Apostles’ time was, if you will, postmodern. In that context, the New Testament succeeded fantastically by any measure, and perfectly by God’s measure of doing what He intended it to do in an age quite like ours. So we’re well and readily equipped for this time, having already the Word of God. I think an important question to keep in mind is, “What is it that we want to learn?” Years ago a LCMS pastor on the Wittenberg Trail defended using the “Alpha Course” written by a Charismatic. Around 2/3 of the course is designed to get people to ultimately have an immediate “experience” with the Holy Spirit and speak in tongues. I asked him why he was using that course and not availing himself of the materials produced by CPH. The answer? CPH doesn’t provide good materials for catechesis! Of course, that is patently false. CPH provides wonderful materials and did so at that time, too. So why was he using a Charismatic course to catechize his congregation with? What did he hope the members of his congregation would learn from an Enthusiast, as our Lutheran confession refers to them? I just finished up my reading of Martin Chemnitz’s “Enchiridion.” Hands down that is the best work of theology I have read apart from the Book of Concord and some of Luther’s works. We have such a rich theology and excellent books written by some of the best theologians around. Why wouldn’t we want to spend the lion’s share of our time learning from theological giants like Luther, Chemnitz, Gerhard, or Sasse (to name a handful)? In my classes (I go to Seward) I’ve had the opportunity to read quite a variety of materials. Certainly the Confessions were on the syllabus and more importantly the Scriptures. Quite realistically though you can’t get to everything on a topic in the brief span of a single class you can just become familiar enough to realize you don’t understand it or that’s what I’ve come to see anyway. In one of my classes this semester we read and discussed Ravi Zacharias’s “Can Man Live Without God”, “Mere Christianity” by Lewis, Michael Yaconelli’s “Dangerous Wonder” and Bonhoeffer’s “The Cost of Discipleship” and even though they weren’t all Lutheran or 100% compatible with my beliefs they did still have an occasional gold nugget. We gave them praise where it was due and criticized the authors when they deserved it. Education (in my opinion) should teach students how to think critically and communicate effectively. If you only get one side of something then that is called brainwashing. I am not saying that students should not be grounded first but rather that they should also be challenged. I know a number of uber-Lutherans that only can spout off something about something being “clearly” against scriptures, confessions, luther, walther, coffee hour, etc when the very debate of a topic means that it obviously isn’t clear to everybody and then they just call everybody a heretic and walk away. I also read Velvet Elvis for a class and the vast majority of my class came to the conclusion that he was very off base by ourselves without having a professor, pastor, or synod telling us. When the church leadership denies the questions that arise in the times they do a great disservice to all. After the removal of Rev. Stephen from the young LCMS the pastors didn’t really help out the questions of the laity for a year (from what I understand) and so they had to figure out what exactly makes the church the church by themselves. That’s hardly being a shepherd of God’s flock. If a school doesn’t provide a foundation in good theology then they aren’t doing their job. If a school doesn’t allow the students to grow from those foundations then they aren’t doing their job. brother histaphel. welcome to the discussion! But the problem is that the heart of man, the desire of all men, is to place their trust in anything but alone in the Works of Another. This is called Original Sin by the confessions. You are most right. Original sin = faith and = a heart that longs to trust in anything at all but the Works of Another. But dont dismiss what Pastor Scheer is pointing out please! Our New Man is commanded to kill the Old Adam. to mortify him, to make him submit. Our entire life looks like performing this task . And we do this not to render the sacrifice of Obedience to God! That would be to not allow that work to be alone the Work of Christ alone. No. we subdue the flesh in order to be useful to others (I cor 6 and 7) . And a big part of that is the theological mortification of forcing our Old Adam to submit to the Law in the form of Doctrine. Old Adam is simply unreformable. He must die. And we kill him by forcing him to not only learn sound doctrine, but also to submit to the discipline of the FORM of sound doctrine. Old Adam is deeply religious. We need to kill that tendency. Especially when doing stuff in Church. Religion is about us doing something in Obedience to God. Religion died with Christ on the Cross. And we are to die with Him in our Baptism, and then we are to also kill the old adam by a daily grinding down (contrition) and by seeing things always through the Works of Another (repentence). there is nothing wrong really with reading metho-baptist stuff. But FIRST one needs to make sure that Old Adam has been subdued with a super heavy dose of the Lutheran Confessions and use them as our reading glasses as we read Holy Scriptures. This is especially important for killing the Old Adam egos of pastors. If you think your old adam will not be seduced by and embrace methodist stuff then all I can say is to wish you the best of luck with that project. we should all confess , especially pastors, that what they suggest we are to do is extremely appealing to our Old Adam also. And I dont want to miss your point either. I think your point is that we should not fear to read stuff that is not christian or lutheran. I get that! We read aristotle and the Confessions say that “as to ethics, nothing can be demanded beyond the Ethics of Aristotle”. so see . even the Confessions sincerely agree with the point you are making! But. But. Aristotle is so good because God has written his law in the reason of all men, yet reason , veiled with the veil of moses that is legalism, is of the opinion, always, that we are to please God by something we can Do. And the precise problem with the methodist stuff is that it is reason let into the church and run amok. It cant see that it is the Works of Another alone that are the only way to end sin and not merely curtain the outward effects. You are right. sin is a heart problem. it is about faith in the heart. Those methodist books dont believe that is so , not even for a minute. Wouldn’t it be wise to be aware of what others are writing … because your parishioners are reading them? Wouldn’t it be good to engage your parishioner from a point of familiarity with the book(s) in question and be able to conduct a reasoned, respectful conversation about it than simply dismiss it as heresy? Isn’t that part of being a pastor? If pastors or even pastors in training are not reading/studying anything outside the cocoon of the LCMS can they really claim to even be “in” the world? Of course you are right Steve. But that is not what I see as the focus of those who are criticizing things here. Some here are of the opinion that there are seminary professors who suggest using this stuff. And the pattern that I have seen is that we can adopt bapticostal methods and forms and still retain lutheran doctrine. Good luck with that project with our Old Adam’s naturally likin this stuff and all….. I think the fear here is that there are seminary professors who are headed in that direction. I would even go so far as to say that there is probably stuff in those books that are practical and useful and would not be wrong to adopt and adapt to. The sentiment here seems to be that seminaries really need to immerse seminarians in the Confessions and this is not happening in favor of discussing this other stuff. I think this is a valid concern. In fact, I would like to see our synod move past a review of the controveries of the 19th century where we again, win every debate, move back before Walther and Pieper, excellent as they are, and focus on our Confessions as the outline and basis for systematics and all else. Any bright young seminarian will be confronted soon enough with pastors and parishioners and even dps who are totally into this stuff. The fact that someone here mentioned to me, that there are lots and lots of seminarian who dont even know the Small Catechism really , really scares the bejeebers outta me Steve. Why would we have that kind of seminarian reading lots of this sorta stuff? The sentiment here seems to be that seminaries really need to immerse seminarians in the Confessions and this is not happening in favor of discussing this other stuff..
And the only evidence I have seen to support this claim are accusations without evidence. And no, I do not consider the fact that a book is on the reading list for a class to constitute evidence. I find it hard to believe that anyone can graduate from either seminary without knowing the small catechism. I graduated in ’98, but for heaven’s sake, Prof. Eichman required memorization of it to pass his Systematics I class. Until I see some real evidence I consider most of these claims to be hyperbole and unjust. Steve, I stand corrected and repentant. Thanks! I would think that anyone interested in what is happening in the seminaries could actually go visit them and audit classes. I am pretty sure both our seminaries would allow that? You are right. We are do defend , speak well of and put the best construction on everything. We probably would serve our seminary professors best by giving them the honor due them in the office into which our dear Lord has placed them. Luther points out that to rob someone of their reputation makes life unbearable for that person and we are to take the greatest care to do the positive contrary good works. I am truly grateful and happy to hear that your systematics professor insisted on memorization of the Small Catechism. That is wonderful! The Small Catechism is such an amazing treasure. I am still learning new things from it that challenge my thinking. You said, “I find it hard to believe that anyone can graduate from either seminary without knowing the small catechism. I graduated in ’98, but for heaven’s sake, Prof. Eichman required memorization of it to pass his Systematics I class.” That is your experience, but please see my post #169 above re: knowledge of the catechism. The LCMS has absorbed all too much of bad theology and practice from outside of itself. Church Growth and TCN with their distorted views of the Church, the Ministry, and the Means of Grace, NCD, Pastors teaching Purpose Driven Life almost verbatim, telling their flock that they must “respond to Jesus,” and widespread chaos in worship practices, to mention just a few. This didn’t necessarily originate at the Seminaries, but one has to wonder why so many of our clergy have forgotten who they are, and seem unable to discern false doctrine and spiritually dangerous practices when they encounter them, but rather embrace them. It doesn’t look good for the Unity of the True Faith, in short, the Gospel. We are still required to memorize the Small Catechism for Systematics I (or at least Dr. Kolb requires it). I still have a lot of it memorized or close to memorized, and I’ve been getting better at it from using it in sermons, teaching it in Confirmation, and reading one of the six chief parts each morning. We also discussed the Small Catechism in detail in Systematics I (partly because many of us had not memorized it or studied it in Confirmation class). Since several people were concerned that we do not study the Book of Concord at all, here is how every seminarian begins his coursework in Systematic Theology at CSL. Our first class is Lutheran Mind, where we learn all of the nice distinctions (2 Realms, 2 kinds of righteousness, law/gospel, cross/glory). Our second and third classes are Confessions I and Confessions II. In these two classes we also read through and discuss all or most of the Book of Concord. One or two things fell through the cracks for my class because of time concerns, but we spent a lot of time on the Augustana and the Formula. Then, in the Systematics I, II, and III classes we read and discuss Pieper (and relevant sections in the Book of Concord), among other things. I don’t know about assigned readings, but it is hard to assume they are being taught the confessions when the evidence includes seminary graduates advertising on the World Wide Web that they are offering their flocks on Christmas Day (a Sunday this year) only joint worship at Presbyterian churches. No, the seminary is definitely not teaching us to have unionistic services. We certainly were not ever taught that this is okay. There were certainly differing views on the Yankee stadium incident, but also the realization that this was not a normative event in our history. So no, rev. Louderback is acting apart from his seminary education. Ok Pastor Crandall, this is good. You are saying, and it is true, that we have way too many congretations that are simply not using the LSB and the Holy Liturgy and are not following Synodical direction that is in conformity with our Confessions. I would add to that , that I have been to a number of churches that don’t apparently preach or do anything that looks alarming in the sense that bapticostal methods and forms are being adopted. If something can be said with the death and resurrection of Christ needing to have happened, that what is preached might be fully Scriptural and Doctrinally Correct, but…. It is still NOT Confessional or even for that matter… Christian. Worst of all they say the efforts that these bits of killing-Law-Called-Gospel is “sanctification” with the meaning that THIS part of sanctification is NOT the part where we Kill Old Adam and produces fruits of the Law, but rather they suggest that this form of sanctification, that we do, is a visible and essential fruit of the Spirit, and therefore, is evidence that we are New Men in Christ. I would suggest that this is a heresy that is far more lethal and potent than any of that other stuff. Why? This crap-from-hell-and-satan masquerades itself as Lutheran Doctrine and even the Confessions are proof-texed and distorted to ‘support” these views. I attended a WELS church in N Hollywood a few years back and all I heard was Christ-turned-into-new-Moses. When I spoke to the pastor, whom I had gone to preseminary college with, he informed me that it was “perfectly legal” for him to use this falsely Lutheran “Third Use” to club his congregation and motivate them to do stuff. He was offended at what I said. Why? He was certain that by preaching Law that Christ spoke, he was preaching Christ Crucified. In fact Christ DOES come to us as a Lawgiver. And he also comes to us as Savior. Even pagan Aristotle works just fine to teach us the Law, so we don’t really need a Christ for that! But we desperately need a Christ in Who’s Works we can hide ALL of our own putrid, moral-equivalent-of-used-tampon “sanctified” works. Our works are truly sanctified ONLY in view of the fact that they are ALL hidden inside the Works of Another. Of themselves? Not so much! Now, as for those here who object to those who preach the Law and actually suggest that Christ also came as a Lawgiver I have this to say. They are wrong and unconfessional to say this. We Administer the Word and Sacraments because we are commanded to. This is Law, law,law. And this Law is extorting this goodness and mercy out of the Old Adam of all pastors . That is what ALL Law does. The Law ALWAYS accuse. The Law ONLY accuses. The Law kills us. In fact, ALL we can see and do is about the Law driving and extorting out of our Old Adam Goodness and Mercy with the Law. There is nothing we can see and do that is some visible evidence of our faith! nope, not even baptism or the Holy Supper. Some forget that it is also the Holy Spirit’s work to kill us with the Law . This work is indeed a part of sanctification in believers that we can do and are commanded to participate in. But! This is about our death! The Christian life is death. This does not mean that death is Life. Death is Death. Life is alone to hide our best works in the Works of Another and accept God’s judgement over our best sanctified works and be terrified! So where is the concern here over this particular “lutheran” heresy that is so very common among us? Is it taught in the seminaries? I hope not. But pastor Crandall is exactly right. If there are too many congretations teaching and practicing wierd and bad stuff, the seminaries need to focus on that fact and react to it in a strong way. I would like to know from the seminarians who are CSL if the Seminary is strongly and effectively teaching against all that bapticostal stuff, unionism and that false Law-as-gospel that masquerades as the Lutheran Third Use. Are the seminaries equipping our men to see that we can’t use bapticostal forms without , certainly and surely, also losing that Lutheran and Confessional content that is all about Faith Alone in Christ alone? Our first class is Lutheran Mind, where we learn all of the nice distinctions (2 Realms, 2 kinds of righteousness, law/gospel, cross/glory). Ok now. So how is it that they are defining what you call these “nice distinctions” that the Confessions tell us is “an especially bright light” that is what will open and illumine all of Holy Scripture and put the Doctrine of the Forgiveness of Sins not only at the center but make every other doctrine we can find in Holy Scripture a “[sub]article” of the Holy Gospel (the Gospel and all it’s articles is alone necessary for unity” means precisely this!). There are not really “two kinds of righteousness”. There is only really one. And I am not talking about the Righeousness of Christ here even. Please read on before you jump at this. The Confessions teach that there is NO difference at all in the content of the two lists of Fruits of Righeousness called “Works of the Law” and “Fruit of the Spirit”. Why not? Both constitute the Fatherly Goodness and Mercy of the First Article that is God’s Eternal Will to be done among men. Example: A loaf of bread given in mercy to a starving man is Goodness and Mercy that God Wills whether it is done by a Christian as an act of worship and faith or done by a Pagan compelled by the Law. This can be found in FC Art VI “Third Use of the Law”. So as to anything we can DO, there is only really ONE kind of righteousness that is Goodness and Mercy done to neighbor, ie Love. There is another , different distinction that is also all about Two Kinds of Righeousness. This is about the righeousness , that IS true small r righeousness that God indeed demands out of all men in the second table of the Law. God promises to reward this righeousness with temporal and even heavenly rewards. But this righeousness is Romans 8 flesh/body that will perish with the earth along with all who seek to get right with God with such things. This is about being right with our neighbor. Alone. Dr Luther calls this righeousness , which is ALL Old Adam, and is ALL we can see and do in our bodies by the term “Earthly Kingdom” or the “Kingdom of Man” or the “Kingdom of the Law”. This Kingdom fully includes the 3 “ordos” (ie orders or governments) of (1) family/marriage, (2) society/civil government AND…. the church as an earthly Government called the “Holy Catholic Church that include both hypocrites and true believers (Apology art VII). Then there is another Kingdom where God Rules alone by invisible faith, alone in Christ. This heavenly Kingdom doesn’t include ANYTHING we can see and do. How could it?! Those things are already FULLY included in that other Earthly Kingdom that will perish with all flesh as Romans 8 tells us. This Kingdom that is alone faith in Christ, is invisible, and ‘comes in a way that cannot be seen (Jesus in the Gospel according to Luke)” is alone to be found “in, with and under” that other Earthly Kingdom government that is called “the Holy Catholic Church.” We call this Heavenly Kingdom by the name “The Communion of Saints”. Again apology art VII is where this is taught to us. So why not just call all of those “nice distinctions” merely different ways to drive home and teach us how to distinguish what we can DO and are commanded to do from what , alone Christ had done for us? I am not getting that. Help me out here. There are actually 2 different distinctions of kingdoms: The Two Realms (Right hand sacred, left hand secular) in which God works; The Two Kingdoms (Kingdom of God; Kingdom of Satan). We were taught that the two realms are distinguished by their use of the Law: The Left-hand realm uses the first use of the Law exclusively; the Right-hand realm uses the second and third uses of the Law, as well as the Gospel. As far as the 2 kinds of righteousness, we were taught that they differ based on who it is with. There is the vertical righteousness, which our actions have no effect on, because it is based exclusively on what God does in killing us with the Law and making us alive again with the Gospel. There is also horizontal (civil) righteousness, which is based on what we do in following the law and doing good works. The vertical is the key one for us, and the horizontal should (for Christians) flow naturally from the vertical. I don’t see where the problem is. 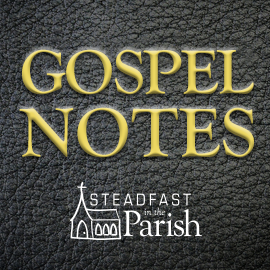 We were taught to distinguish Law and Gospel in several different ways and taught to apply Law and Gospel to several different aspects of theology. We were also taught different names for each of these ways to distinguish Law and Gospel in particular aspects of theology. Is the confusion related to the terminology used. Close communion according to Unchanging truth in unchanging Times means closed communion, but sounds like the definition you used as an example of open communion. Did our own use of our own use of the terminology help lead to this? Being formerly Orthodox I never understood open communion or why there is variance in the LCMS regarding this issue. Either we are CLOSED COMMUNION or we ARE NOT. We cannot be both, there is no middle ground on this issue. I don’t know the source for your definition, Andrew. I believe there is open communion (disguised as “close” if any in the congregation would object to the term) because some pastors do not want their obligation as shepherds to care for the flock and teach them. (It’s more satisfying to the ego to spend the time inventing a “creative” new liturgy/litany every week.) Persuading people to come to a Bible class and study is hard work! That ignores several passages which in the aggregate say that the shepherd will be called to account for the failure to tend his flock properly. I wonder who will answer for the 10% (OR MORE), who have been deliberately driven out of their congregations because they protested open/”close” communion, CG methodology and abandonment of Lutheran practices through other non Lutheran “programs”. I am concerned by the large number of lcms churches that practice open communion, yet call it close communion. It seems to happen almost everywhere I visit. Members telling me their Roman Catholic, Episcopalian, Methodist cousins are all welcome to commune when they visit. One lcms pastor even said he “Errs on the side of the gospel.” I don’t even know what that means. Wish I did. Are the boe promoting this or the pastors themselves??? Thanks for an insightful response to all parochialism being thrown about. I tend to go on here to read how ” passionate” all the steadfast people are about those who don’t fit their mold. amazing !! Efficiently spark tested outreach opportunities.